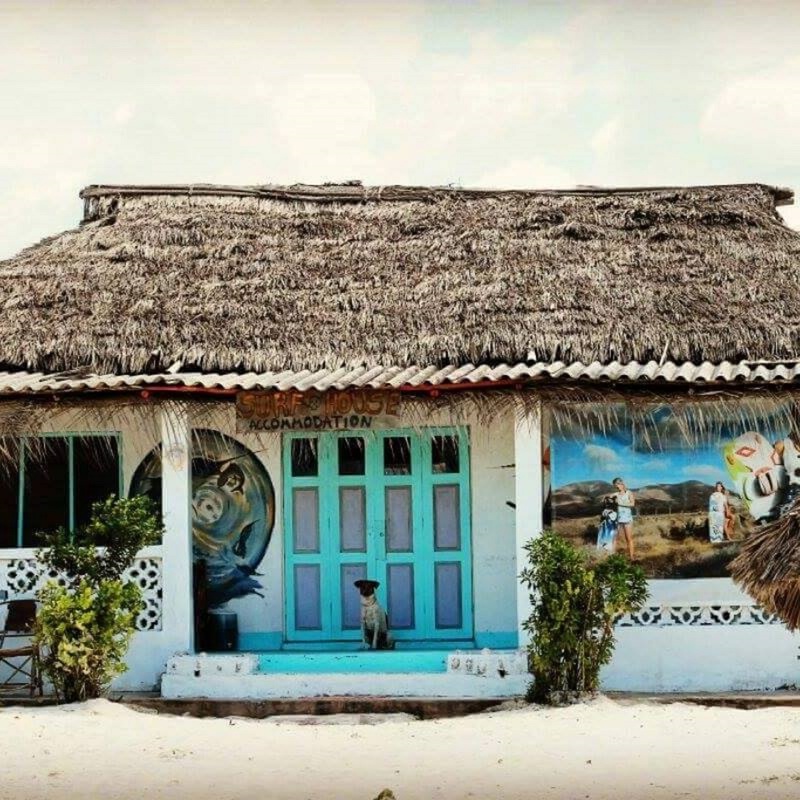 Surf House means beach, fun, friends, real life and...perfect kite, surf spot! 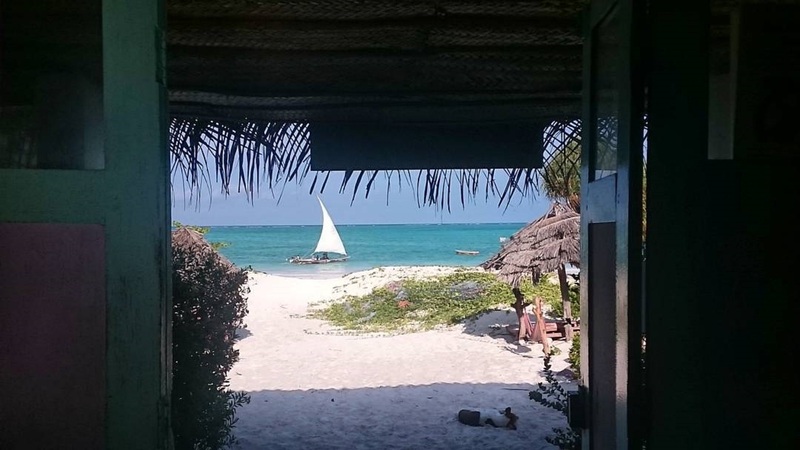 Live on the amazing beach in the magic scenery of cute african bungalows, white sand and positive vibes. 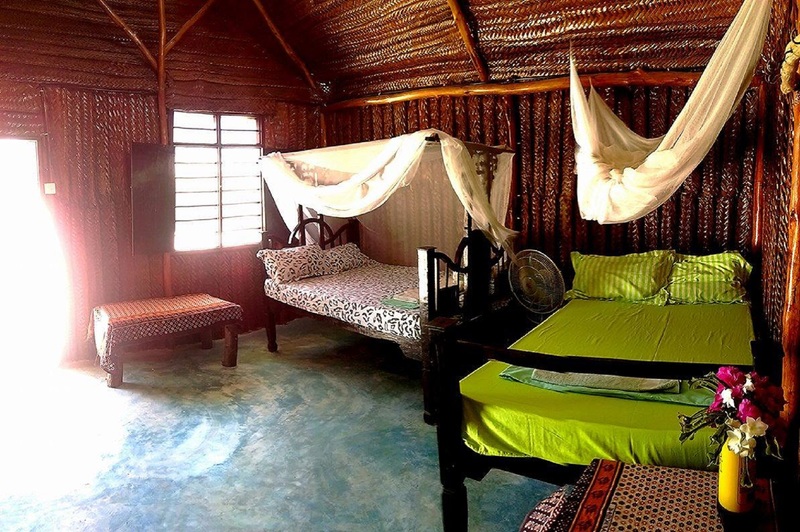 We are unique place in Paje, with the oldest, zanzibarian style house, 4 private bungalows and special home-made atmosphere. 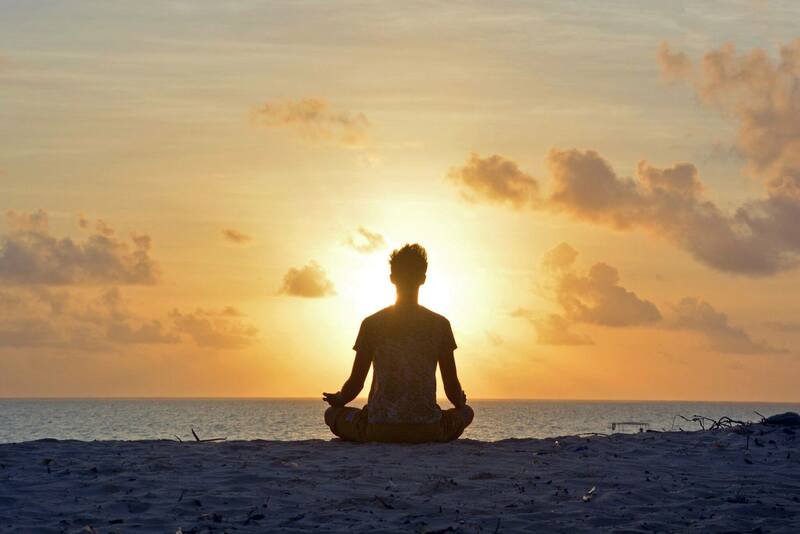 Just chill out, enjoy vagabond soul and join surf lifestyle! ATMs are only in Zanzibar Town. In Paje there is no ATMs and there is only one or two places which accept credit cards. It is important to have dollars or tanzanian shyllings always with you. All rooms with private bathroom? Two double bungalows are with private bathrooms, two bungalows for four people are with private bathrooms, 2 double rooms inside the main house have private bathrooms and two rooms share one bathroom. 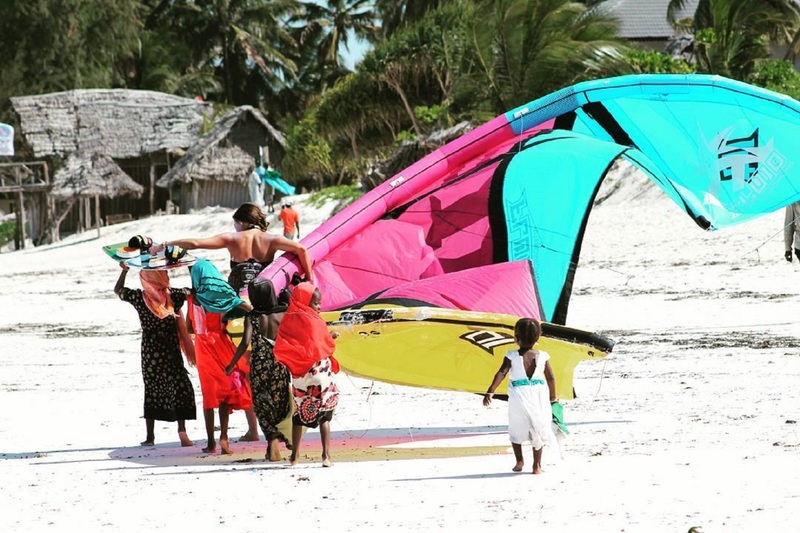 Paje is situated on the East Coast of Zanzibar and it is the best kite surfing spot and amazing place to start the surf trip. 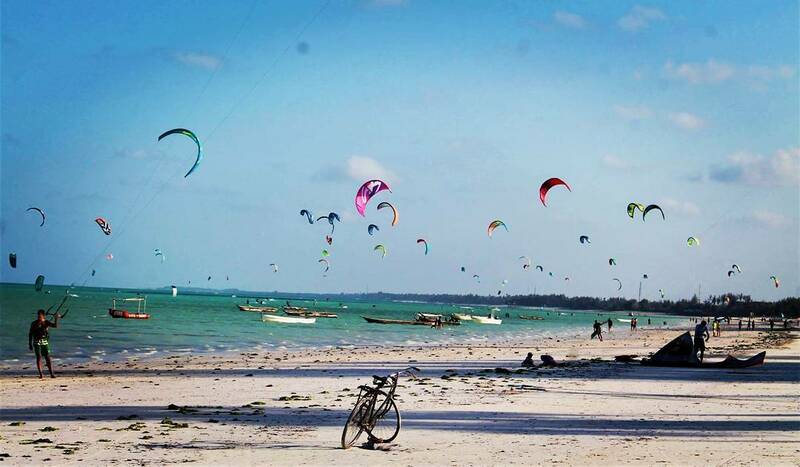 Here you can meet another surfers and kite surfers, drink fresh coconut water just on the exotic heavenly beach, chat with Masais and feel a real life of zanzibarian village. It is one of the most beautiful beaches on the world and Indian Ocean looks extremly awesome. 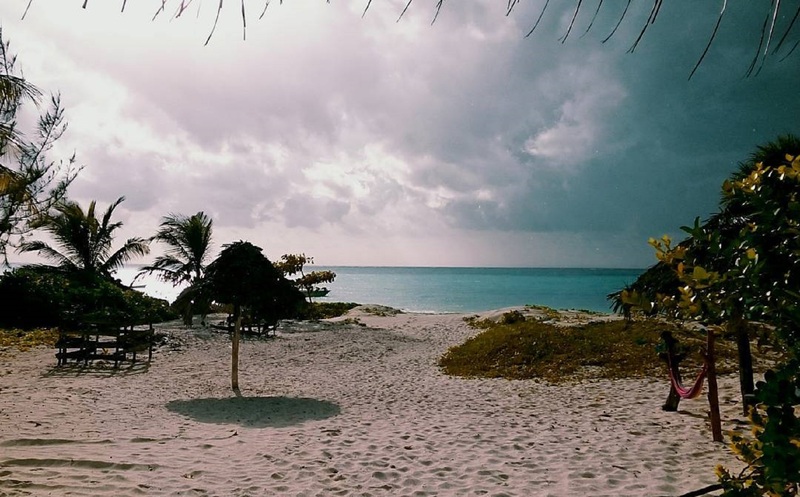 Paje is perfect spot to discover this beautiful island. 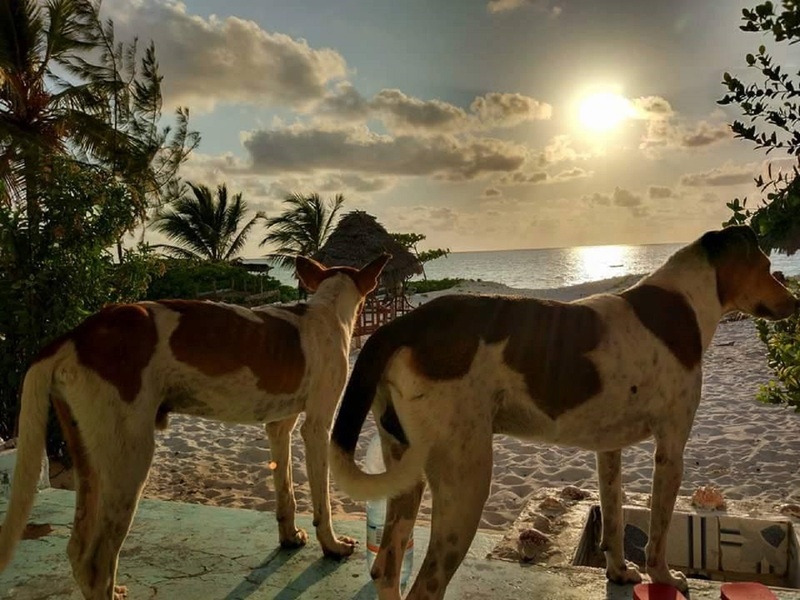 You can visit Jozani National Park, swim with dolphines in a natural enviroment, touch cute turtles, eat lunch in Rock Restaurant just on the ocean and take a walk thru magic Stone Town`s streets. Paje is the place with almost 365 sunny days, except half of April and May when there can be few rainy days. 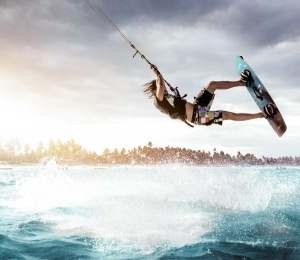 The best time for water sports is a half of June up to September and half of December up to March. 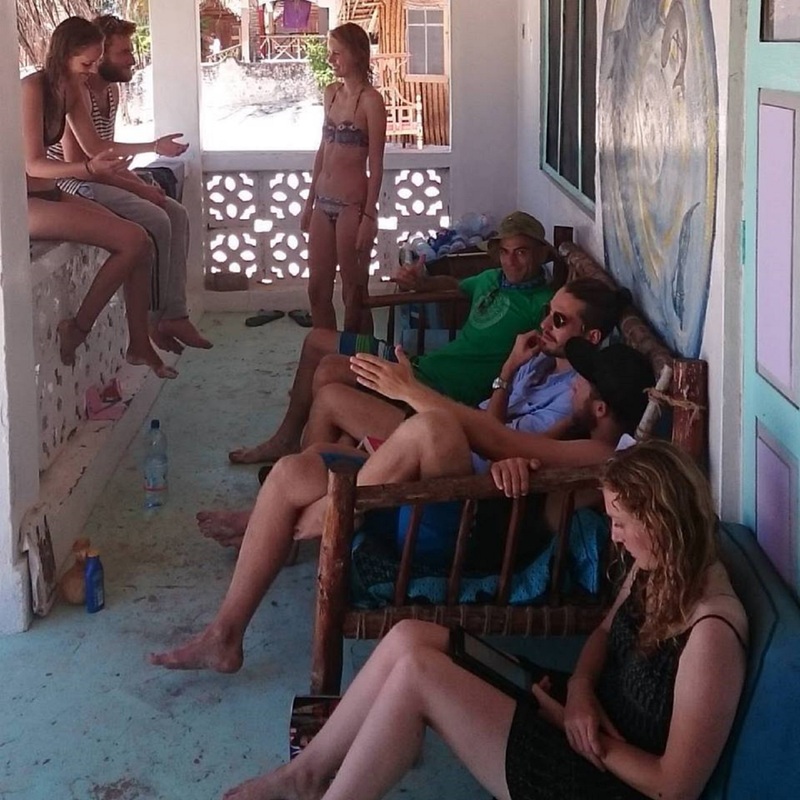 Surf House is the really local, zanzibarian style house. Now is really uncommon to find buildings like this, much more friendly than all hotels on the Zanzibar. 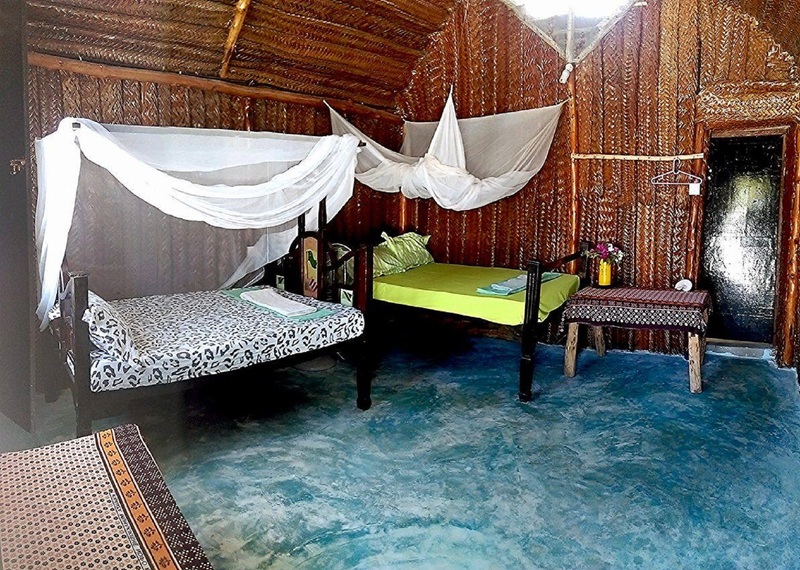 Surf House is situated on the middle of wonderful Paje beach with the most beautiful ocean on the front of the place. Next to us there are all restaurants, bars, kite schools and diving centers. 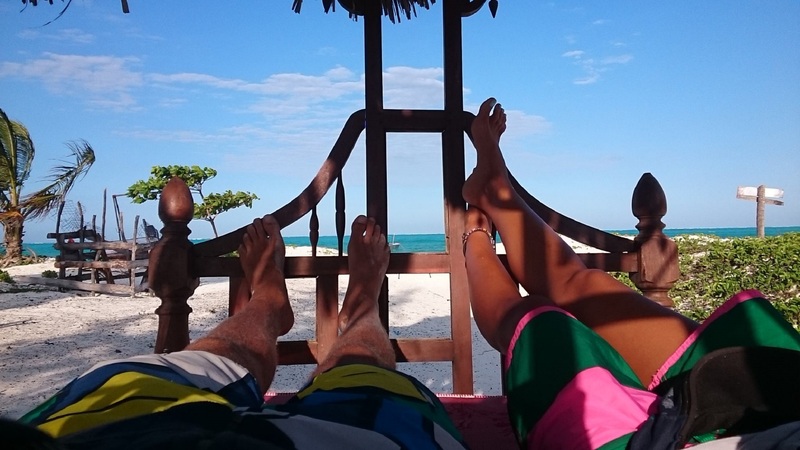 You can fully enjoy the time in Paje having everthing just few steps from our place. Don't waste your time, just have a fun! 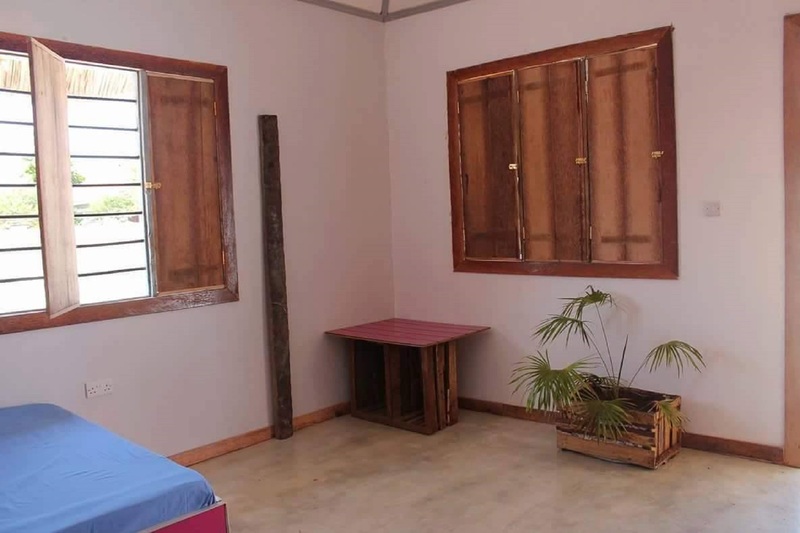 There we have one main house with four rooms, kitchen annex and a terrace and four bungalows on the property. 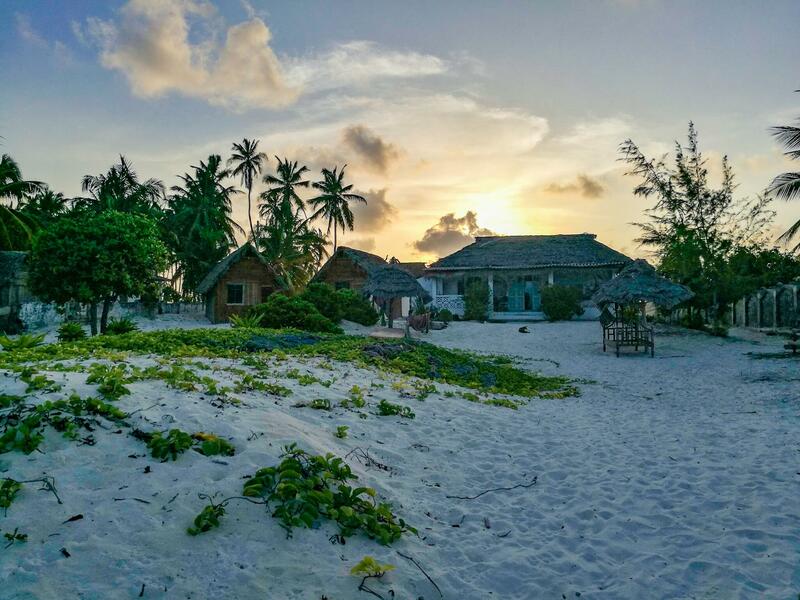 Surf House is situated on the middle of the best kite surfing spot on Zanzibar and the best place to start surf trip to the reef. 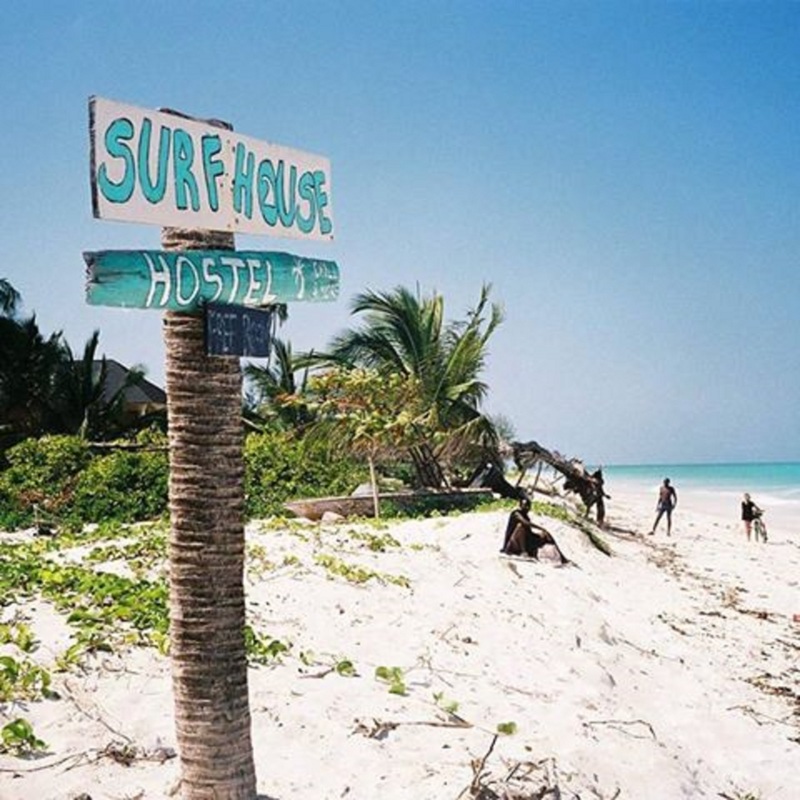 Zanzibarian reef is mostly flat, rocky and friendly comparing to other tropical surfing spots. On some surf spots we need to watch out on sea urchins but there are places perfect for beginners without these spikey creeps. 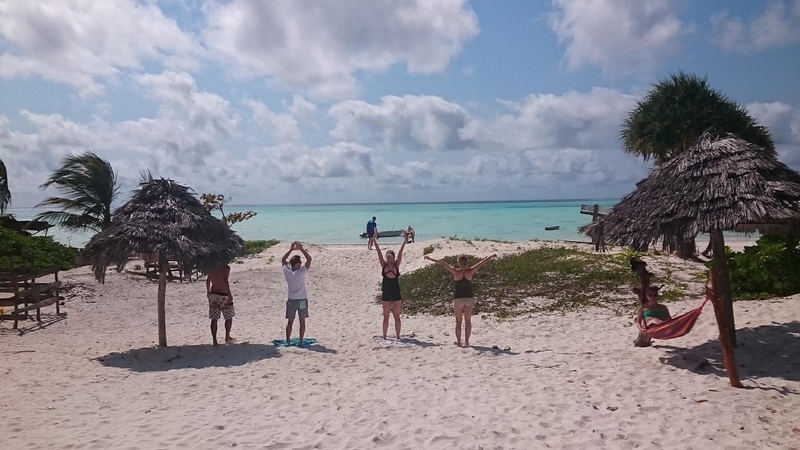 During surf session you can usually enjoy the view of dolphins, turtles and zanzibarian fisherman. The main season is December up to April and we can expect some proper ground swell. Waves are dependent on swell, wind direction, tides and moon faze. Because of big tidal changes surf sessions have to be good timed. 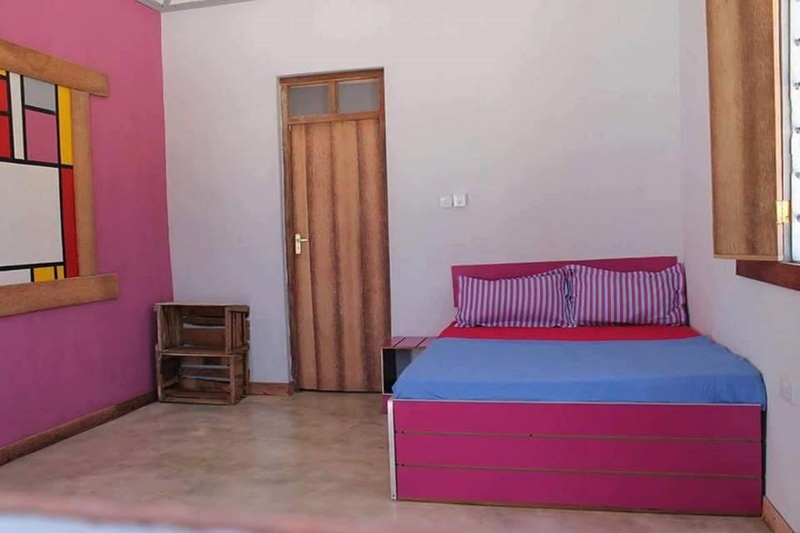 You will love amazing spots around Jambiani and Dongwe which are just few kilometres far from Paje beach. 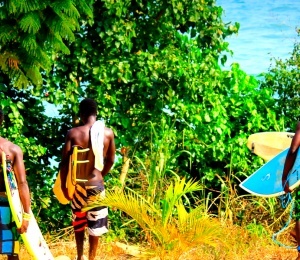 Generally most of surf trips start on Paje beach. There is two wind seasons on the island- an half of June up to September and an half of December up to March. SURFINN © 20-04-2019 12:57:50. ALL RIGHTS RESERVED.